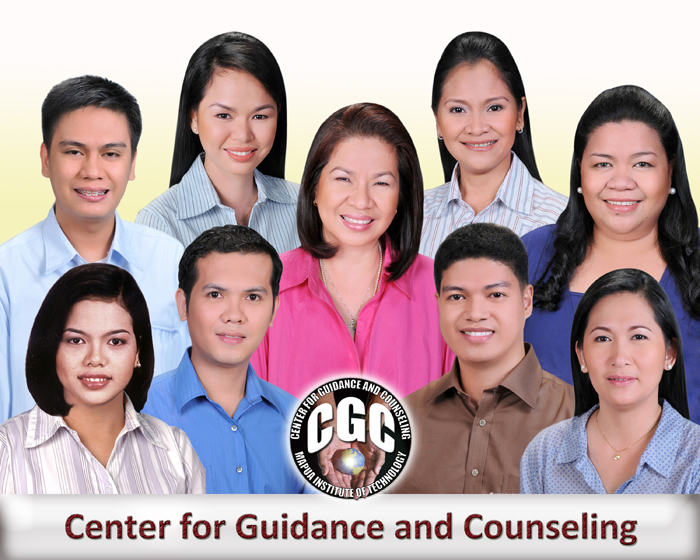 The Center for Guidance and Counseling (CGC) is an indispensable part of the academic community created to provide high-quality service to students to facilitate their holistic development. In line with the vision and mission of Mapúa University, CGC aims to develop the total well-being of the students as individuals and as members of society. CGC provides developmental counseling assisting the students to become aware of the different forces and factors at work in their lives. By learning to exert some degree of control over these forces, the students are able to adjust to the realities of their lives. Consequently, the students are assisted towards achieving optimum level of personal happiness and social usefulness. The concept of counseling in this university is essentially democratic. The well-trained guidance counselors offer professional help to the students using their chosen counseling philosophy and orientation. The Center also serves a supporting function to the Center for Student Advising by being part of the triad that helps improve students’ academic achievement.